First of all, a fun fact: by the end of an eight-hour day, your fingers will have walked 16 miles across the keyboard. That’s right, your digits are smashing out a half-marathon (and then some) every time you complete a day’s work. Your body, meanwhile, is being contorted into all kinds of unnatural positions as you hunch over your machine, in the desperate search for answers and inspiration. So it’s no wonder that developers and remote workers suffer such a range of injuries in our day-to-day. We may not put ourselves in mortal danger like soldiers or firefighters, but our job nonetheless throws up myriad health problems which can have long-term consequences. These problems are equally prevalent whether we’re working in an office or the comfort of our own home. 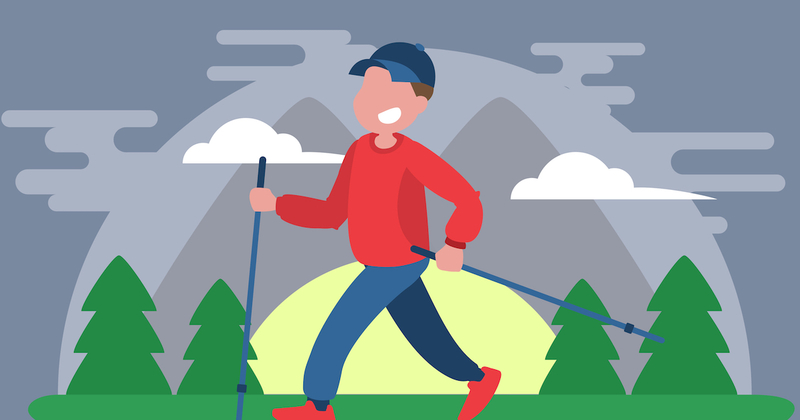 We pride ourselves on staying healthy – we even regularly go skiing and trekking together. With this in mind, we’ve put together a brief list of exercises to avoid the common physical problems which blight our industry. We hope it benefits the wider developer community, and we even plan to use it ourselves as a reference manual in the months ahead. 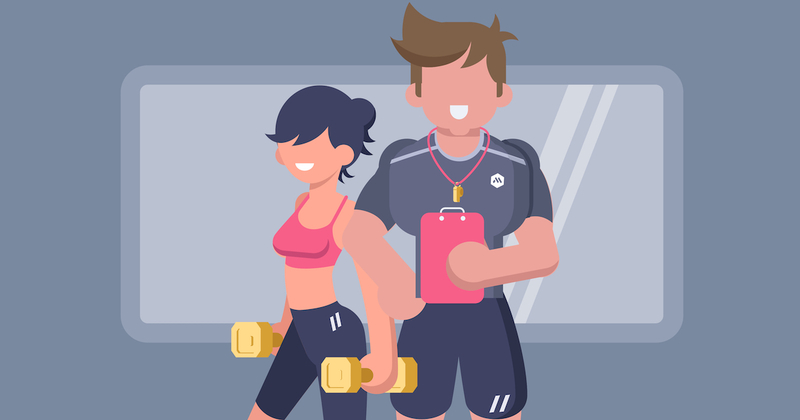 Obviously your scope for exercise will vary greatly, depending on whether your working from home (like us) or in a shared space. 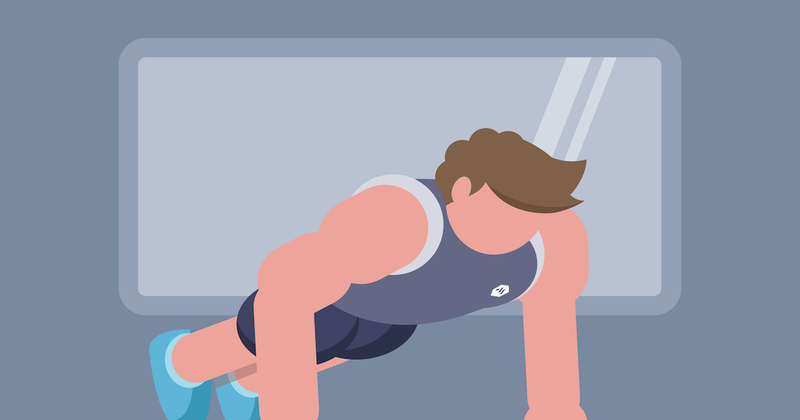 But each of the exercises we’ve picked out can be performed effectively in either setting, so whether you’re in-office or remote, they should benefit you. But before we can treat the problems, it’s useful to list what they are. In truth there are plenty to choose from, ranging from distortion of the nasal cavities to pressure on the kidneys. But, for simplicity, we’ve chosen to focus on the four most common pressure areas – wrist, elbow, neck and back. One of the most famous IT injuries is Carpal Tunnel Syndrome, which occurs when tendons in the wrist swell and compress the carpal tunnel, a channel of ligament and bone running into your hand. The condition can cause numbness, tingling and electric shock-like sensations in the fingers, making it difficult to grasp objects. It can also lead to nerve damage if left untreated. Developers and remote workers are also particularly susceptible to tendonitis in the elbow, also known as tennis elbow. Named for its connection with racket sports, this condition is also prevalent among those in sedentary occupations. It is often provoked by the repeated bending of the elbow – a common problem for those who push a mouse around for hours on end. Such activity can develop tears and inflammation near the lump on your elbow, leading to a stabbing pain when bending the arm or gripping small objects. Neck pain is another common issue. The human head famously weighs eight pounds and it’s got nothing to keep it from flopping over apart from the muscles in your neck. 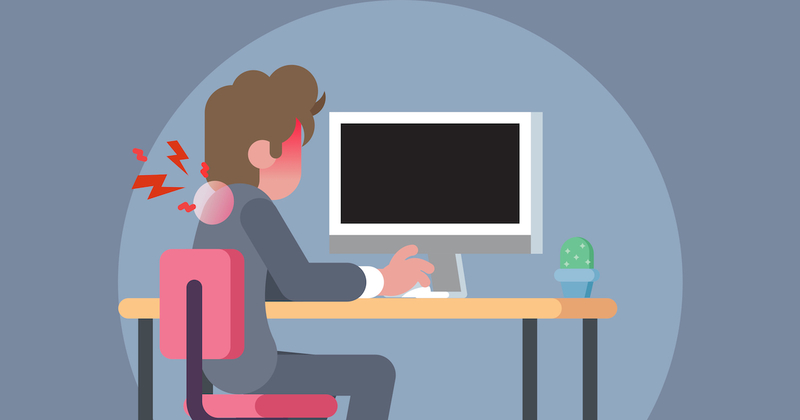 So it’s really no surprise that so many IT professionals suffer neck pain; all those hours of leaning into your machine put a huge amount of strain on the nerves and muscles in your neck. In fact, a study conducted in Pakistan last year found that two-thirds of software engineers suffered from neck pain. In some instances, the problem can become chronic. Finally, there’s the classic bad back. Because we’re adopting a static and often crooked posture, we’re putting serious pressure on our spinal discs, particularly when our eyes get tired and we start leaning into our machine at the end of the day. Over time, the discs can break down – leaving us with degenerative disc disease. A great way to start is by investing in some exercise bands, possibly the greatest piece of kit ever invented. We can use these to discreetly stretch and relieve our pressure points, taking a well-earned break from our work and getting out of our head and back into our body – which is great if you’ve spent hours wrestling with a coding problem. 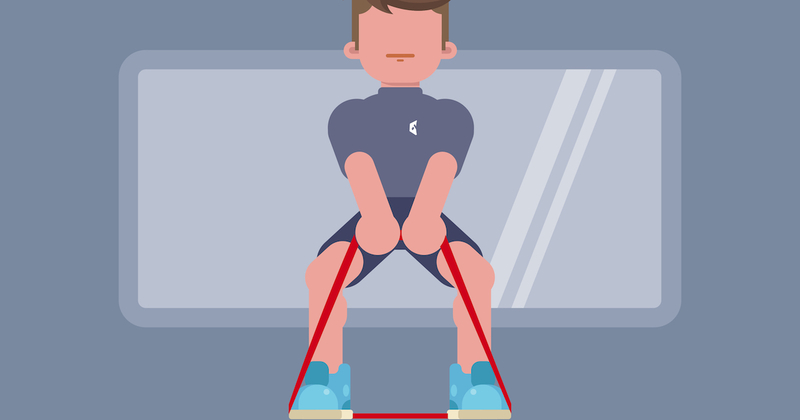 You can do practically any kind of weight-based exercise with a resistance band, and although some will be impractical in smaller working environments, we’ve picked out five which can be performed anywhere. They’re discreet and beneficial, and don’t require you to change into your gym gear. Wrist flexion. This one’s really simple. Step on the resistance band and keep it under foot as you sit back in your chair. Grab the band in your hand and rest your forearm on your upper leg. Now start to flex your hand up and down. It looks a bit like a bicep curl, only this time you’re working your wrist – and keeping it strong and supple. Shoulder pulldown. This one’s great for your shoulders, and it gives your upper back a workout too. Grab the band in two hands and hold it above your head, with the two hands shoulder-width apart. Then pull down with one hand to the side, stopping at your waist, and then go back to the top. Repeat the movement several times before switching over. Watch from 4:00. Elbow curl. You’ll have to stand up for this one, but it’s great for flexing the elbow, preventing the stiffness which can cause tendonitis. Step down into the exercise band with one of your feet and then step forward with the other, so your body is at a diagonal with the band wrapped under the back foot. Take the band in your hand on the same side, and curl your arm upwards. There’s more range of motion than a bicep curl, and it’s designed for flexibility, not beach muscles. Bow and arrow. Again this one’s great for the upper back, and it strengthens your core. The name is fairly obvious when you try the exercise. 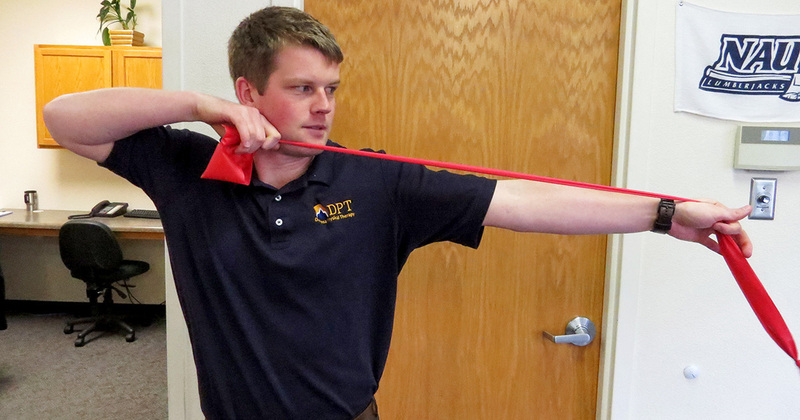 Take the band in two hands diagonally out in front of you, as if you are had a bow and arrow in your hand. So, if you’re working your left side, your left hand will be way out to the side, with your right hand in front of your left pectoral. Then slowly pull back with your ‘inner’ hand as if you were drawing the arrow back, and return to start position. Neck stretch. Ok, you may have to warn your colleagues before doing this one! But it’s great for the muscles in the neck. All you need to do is take the band in two hands, put your head inside it, and push back-and-forward with your head – a bit like a chicken clucking back and forth. Bizarre, but effective. Of course, the resistance band is not an absolute necessity. Here are some exercises that can be hugely beneficial in the workplace, and require nothing but your own bodyweight. Pelvic tilts. Great for the lower back, these can be performed without even leaving your chair. Sit upright, with your hands on your upper legs, and push your chest forward and upward. Then return to the neutral position, rounding out your back. Prayer stretch. Another exercise whose name will soon become obvious! Start by holding the hands together under the chin, pointing upwards, and bring them down to just below your chest, without losing the arrow shape. Then push them back up and repeat the motion. Overhead stretch. Great for the neck and shoulders, this is among the most common office exercises. All you need to do is lock your arms out above your head and clasp your hands together, pointing upwards in an arrow shape. Look up as well, so your body’s rigid. Then tilt from side to side, taking care not to go too quickly. Fist clench. This is probably the simplest of all our exercises but it’s great for keeping the elbow moving, as well as strengthening the tendons in the wrist. Just rest your forearm on a flat service and slowly open and close your wrist. Not hugely exciting, but mighty effective. Chin tuck. Again, you might look a bit like a chicken doing this one, but it’s worth it! The chin tuck is great for strengthening your neck and it can improve your posture, too. Start facing forward, in a neutral position, and then bring your head back and into your neck (as if you’re recoiling in shock at something one of your colleagues has said). Return to the neutral position and repeat. As well as exercise, there are plenty of good practices to prevent musculo-skeletal problems. Developers don’t have a great reputation for healthy living, with their tendency to eat at their desks and pull all-nighters during project sprints, but that doesn’t mean we can’t make some basic changes. Here are some quick and simple improvements you can make to your daily routine. Take regular walks. By planning a stroll into your daily routine, you’ll keeps the body fresh and nimble, and reduce the risk of serious conditions such as deep vein thrombosis. Tools such as Outlook, Google Calendar and Asana allow you to programme a walk into your daily work pattern. Go out for lunch. Don’t eat at your desk. It’s bad for workplace hygiene and it doesn’t provide the break your body (and eyes) need. Take at least 30 minutes at lunchtime and try and find a nice cafe nearby – or a decent park to eat the lunch you made at home. It can also be a great way to socialise with your colleagues if you’re in an office. Get plenty of sleep. Developers have a propensity to work crazy hours, and surviving on a tiny amount of sleep can become something of a badge of honour. But try to avoid this trap – if you can get seven hours’ sleep a night, you’ll function much more effectively. If you’re struggling to sleep, there’s plenty you can do to make your evening routine more hygienic, including drinking warm milk in the evenings, cutting down your caffeine and shutting down your screens early. Drink lots of water. This is another thing that can be programmed into your diary. Water is amazing: it keeps you fresh, prevents dehydration, and keeps your muscles energised. If you can drink a bottle of water a day, you’re doing well. Eat more slowly. This final tip might seem a bit strange, but it really helps. It takes ages for your brain to realise you’re full, so take your time when chewing your food. You’ll appreciate your meal more, improve your digestion, and you’ll probably end up eating less – which is great for losing weight and keeping your body lithe and nimble.